Hey everyone! Happy Thanksgiving Eve! If there are any crafters out there looking for a new way to spruce up your current display, here is a little tutorial on how to add a cheap but shabby chic display item in just six easy steps! I have recently fallen in love with letters. 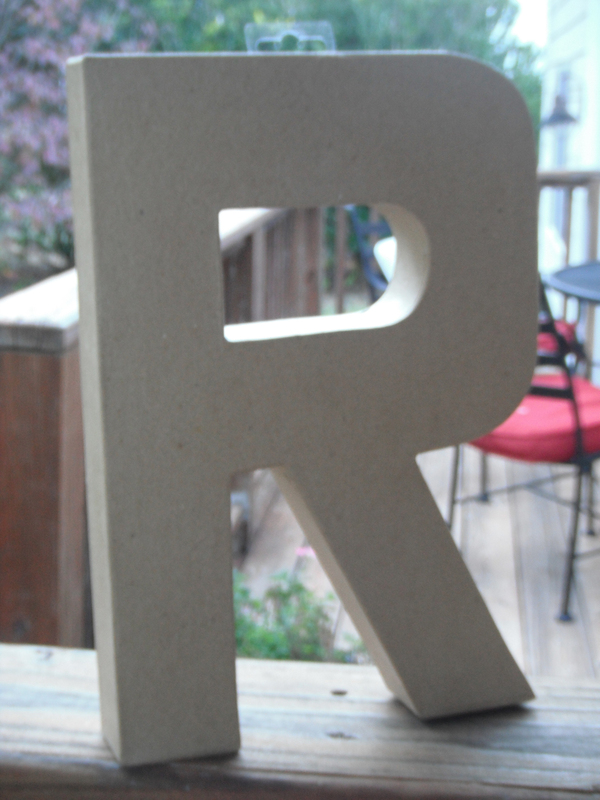 Anytime I see the letter "R", I go crazy and I want to somehow incorporate it into my display. However, being a new company, I gotta think of new ways to save money. 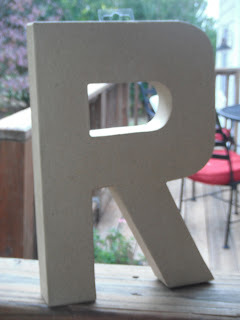 Sso I decided I would make my own cute little "R" for my display. Step 1: Purchase a paper mache letter from your local craft shop. I got mine from Hobby Lobby, and it was only $2.99! Step 2: Gather materials. 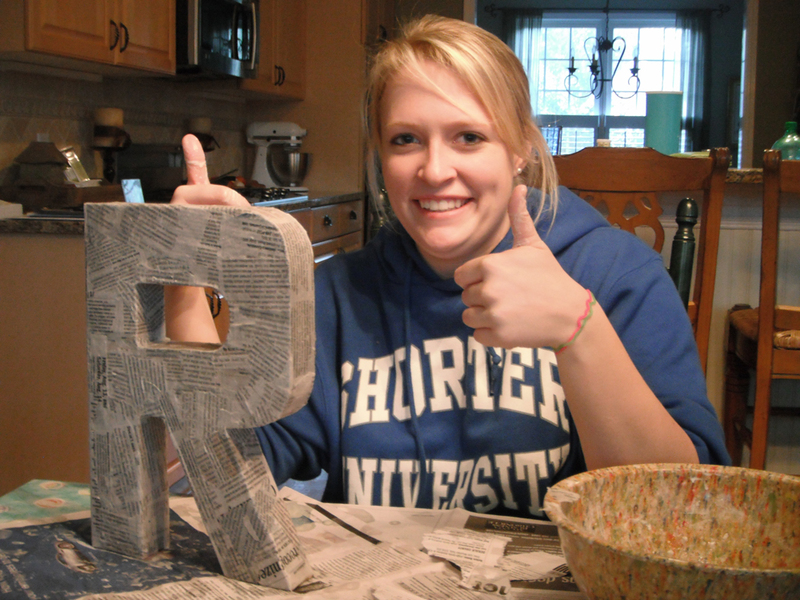 For this, all you need is old newspaper, flour, and water! Make sure to also use a table cloth. Step 3: Mix the "glue". Just use one cup of water and one cup of flour. Mix it together in a bowl! You may need more or less depending on the size of your letter. I used a cup for each and there was still a bunch of "glue" left over. Step 4: Tear out strips of the newspaper, avoiding all the pictures. You need strips with just the words. 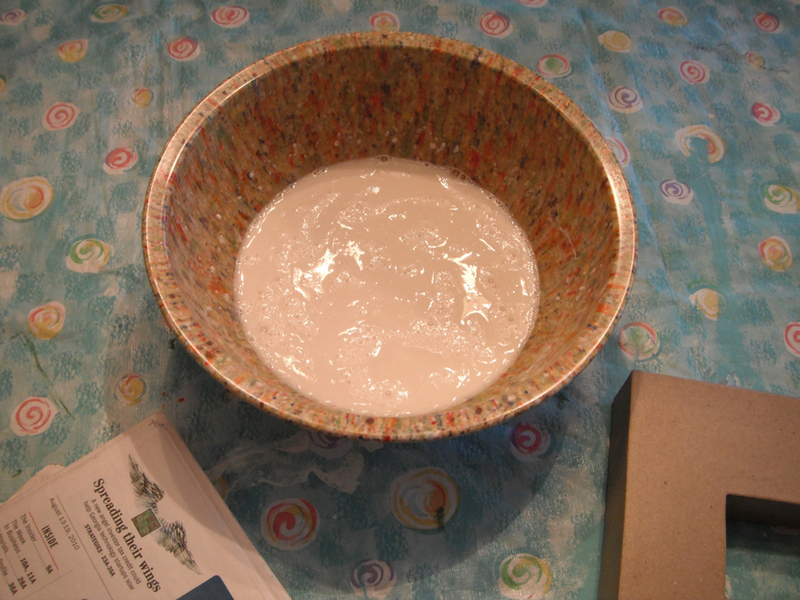 Step 5: Dip your strips in the "glue". Get them all sopping wet, then just place them randomly on your letter! The more random, the better. 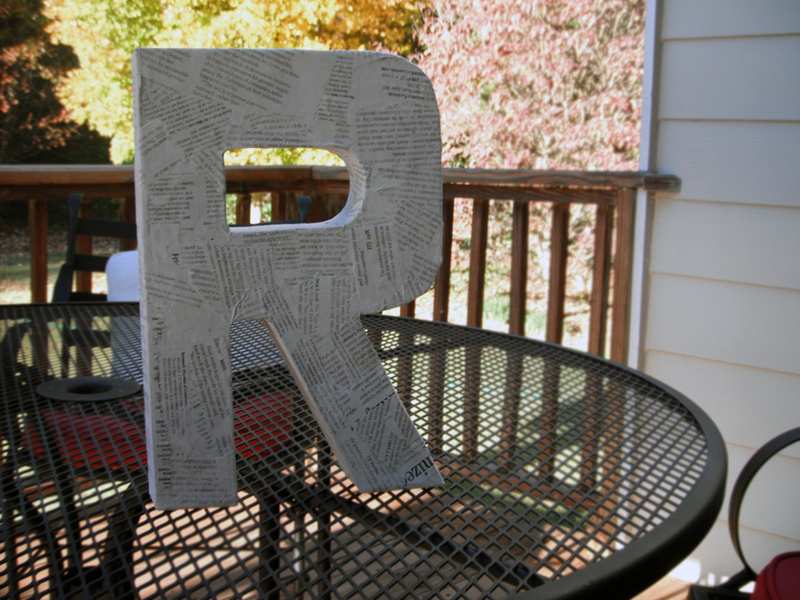 Step 6: Set your letter in a dry place where no one will bother it. I let mine sit outside. Let it sit until the whole thing is dry. 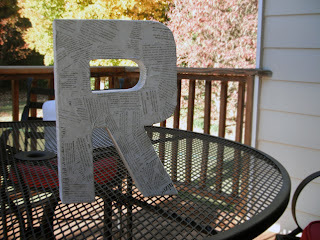 Once dry, you should have a beautiful chic letter to include anywhere in your craft show display! You can add more newspaper strips if there are any awkward spots once it dries. Just whip up some more "glue" and strips and let it dry. This is also a great project if you have little kids. Don't leave them out of the fun! Let them pick out the letter of their first name or any other object. After complete, let them finger paint it! Use colors that match their room and use it to decorate the room! Cute! It would be a fun, gooey project for my granddaughter!! 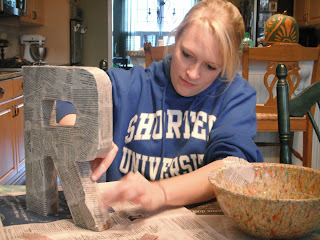 I remember the days of my kids' paper mache school projects :p I really like the letter idea - thanks! Cute idea! 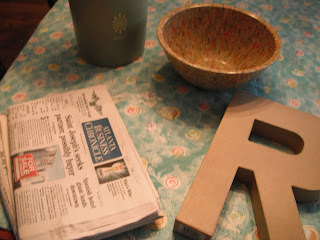 I would love to have an M & H on my table for my next craft show!